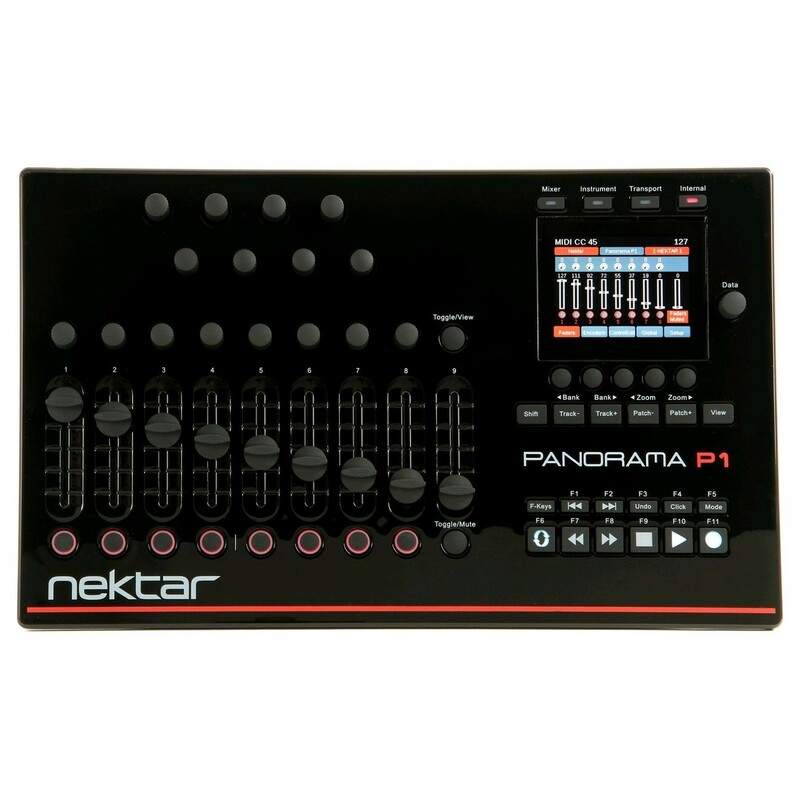 The Nektar Panorama P1 is a versatile control surface, giving you a new way to improve your workflow with a range of in-depth controls. 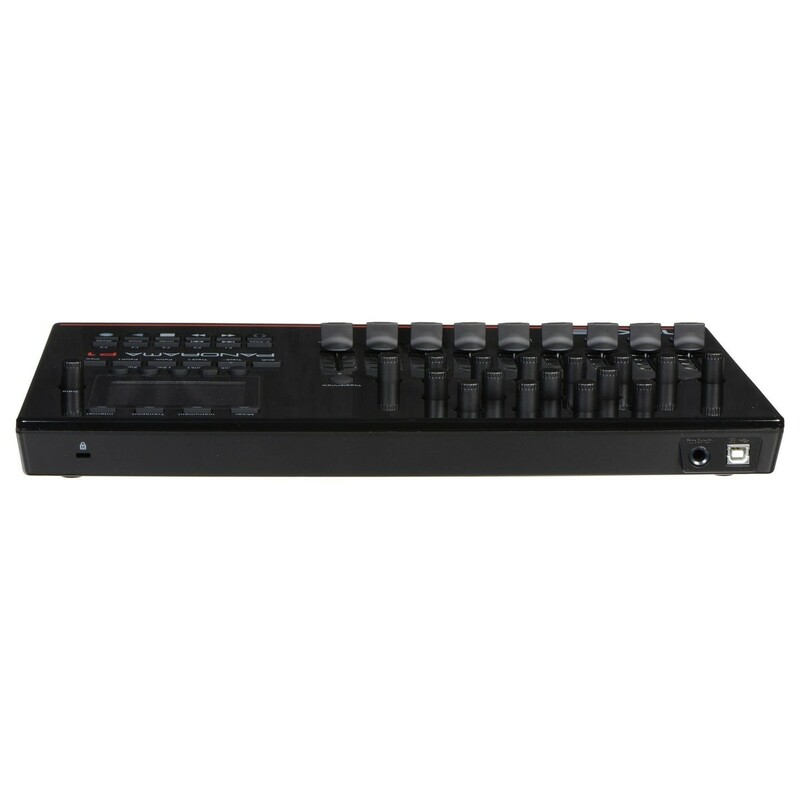 This intuitive USB-MIDI Control Surface provides fluid integration with a range of professional audio software. The P1 is one of the most unique surfaces in the Panorama range, eliminating the need for keys and provding you with encoders, faders and transport buttons designed to revitalise your work process. The compact yet sleek design provides an ergonomic layout allowing you to quickly make edits to your tracks on the fly. The 3.5-inch high-resolution TFT display provides navigation and information on your parameters. 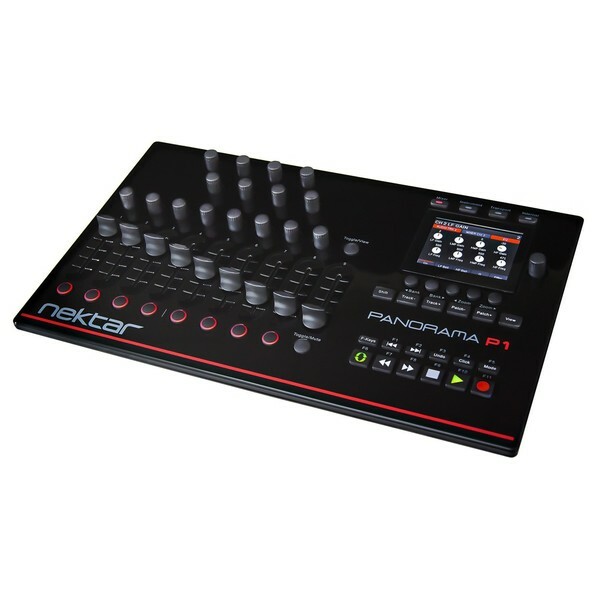 The Panorama P1 is a compact, tabletop control surface that provides fluid integration with a wide range of professional audio software such as Reason, Cubase, Bitwig Studio & more. The vast control power the P1 provides is ideal for a range of applications, from mixing sessions to producing and recording sessions. This compact yet powerful controller features a range of performance and transport controls. The 16 encoders are ideal for controlling automation and parameters within your selected DAW. The nine, 45mm faders are ideal for controlling volume and other levelling controls within your software, but can be used for virtually anything. 10 LED buttons and 28 other buttons are included for multi-purpose use. The P1 Control Surface is ideal for a range of professional audio software, providing seamless integration with virtually any DAW on the market. F-Keys are included for setting up presets within Reason, allowing you to assign a MIDI command in real-time. 6 dedicated assignable navigation buttons are included as well as 11 dedicated transport buttons. The transport buttons can be highly useful when it comes to recording and navigating between tracks. You can also expand the control with the foot switch jack, providing you control of up to 61 parameters at any one time. There are 20 preset slots available with save and loadable F-keys maps for more than 1200 combinations. The highly compact design is around the same size as a 17-inch laptop, making it ideal as a centrepiece on any studio or home studio desk. The high-resolution 3.5-inch colour TFT display provides you with all the info you need on your parameters and functions. The crystal-clear display provides detail info, making your workflow efven more fluent. The easy-to-read display provides information on everything from virtual instrument oscillators to step sequencers and more.